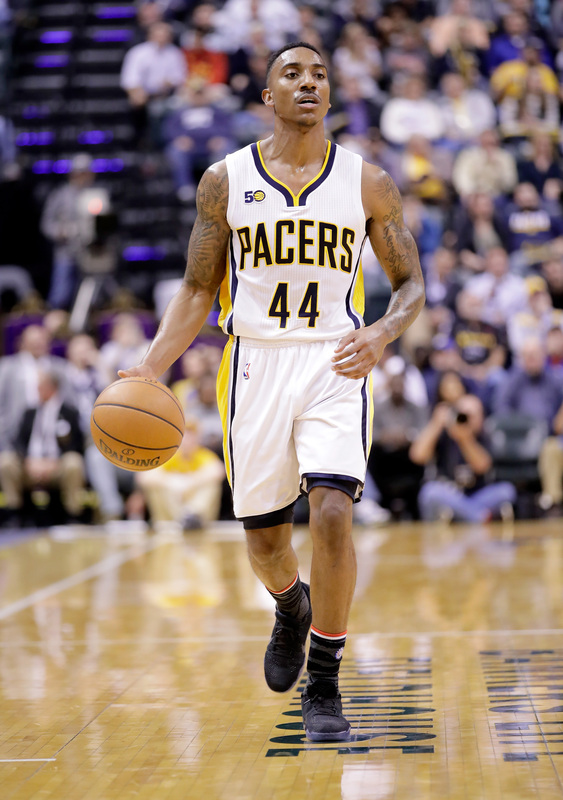 Jeff Teague was acquired by the Indiana Pacers in a three-team trade this past offseason that sent George Hill out of town. It was a big deal that many thought immediately made the Pacers a serious contender. One of the biggest issues that the Pacers had during their back-to-back Eastern Conference Finals appearances was the play from the point guard position. Hill was unable to step up and be an aggressive scorer or floor general that Indiana desperately needed him to be. During the season that Paul George missed due to a broken leg there seemed to be signs of hope as Hill put up his best season with the Pacers, but that quickly faded after George returned. Throughout the first 12 games of the 2016-17 NBA season, Teague has been a major upgrade for the Pacers. He has averaged 14.4 points, 6.4 assists, and 3.3 rebounds per game. Those numbers have been big for Indiana, although there is plenty of room for improvement as well. Teague started the season a bit hesitant and had some rough games, including a zero-point outing against the Bulls in a blowout loss. Fans immediately started panicking about the struggles that their new starting point guard was having. Just two games later against the same Bulls team, Teague bounced back with 21 points and six assists. On November 9th against Philadelphia, Teague scored 30 points on 10-16 shooting to go along with nine assists. In two of Indiana’s last three games heading into tonight’s matchup with the Phoenix Suns, Teague has scored 20 points. All of that being said, it’s obvious that the Pacers need their star point guard to continue playing aggressively. Even though we are just 12 games into the season, Teague has already put together four games with at least 20 points and five assists. That is one more than Hill had all of last season combined. Needless to say, the trade to upgrade the point guard position has worked out so far. Imagine if Teague had hit the ground running to start the season. If he had played his first handful of games with the energy and aggressiveness that he is showing now, his numbers could be much higher. George and Teague have been finding a lot of chemistry over the past week or two. Both players have worked well together and it is obvious that George enjoys having another lethal scoring option. Indiana has to be excited about the dual-threat that they have with George and Teague together. George has averaged 21.0 points, 7.0 rebounds, and 3.5 assists per game this season. He may not be having the MVP season that he was hoping to have, but having so much pressure taken off of his shoulders by Teague has to feel good. Last season in the playoffs against the Toronto Raptors, it was apparent that the Pacers had to make a move to bring a primary ball-handler and second scoring option for George. Teague was brought in to be that guy and he is beginning to show why Larry Bird decided to target him to fill that void. Expect to see Teague continue playing with the aggressiveness that he has shown over the past couple of weeks. He is gaining confidence with each passing game and the Pacers still have the best to come from him. Indiana is starting to play better defense and are looking like the team that many thought they would be. 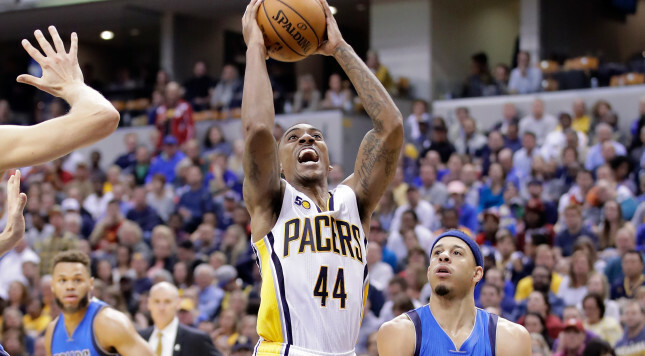 It is too early to say that the Pacers are contenders in the Eastern Conference, but if Teague continues playing aggressive basketball, the sky is the limit for Indiana.